I ndeed, contrary to the models developed elsewhere, this technology does not require heavy refrigerating equipment, like successive cold rooms and their compressors. Liquid gas evaporation makes it possible to obtain in a very short time, very low temperatures, while fulfilling all the essential safety criteria, concerning the installation of treatments of this type. 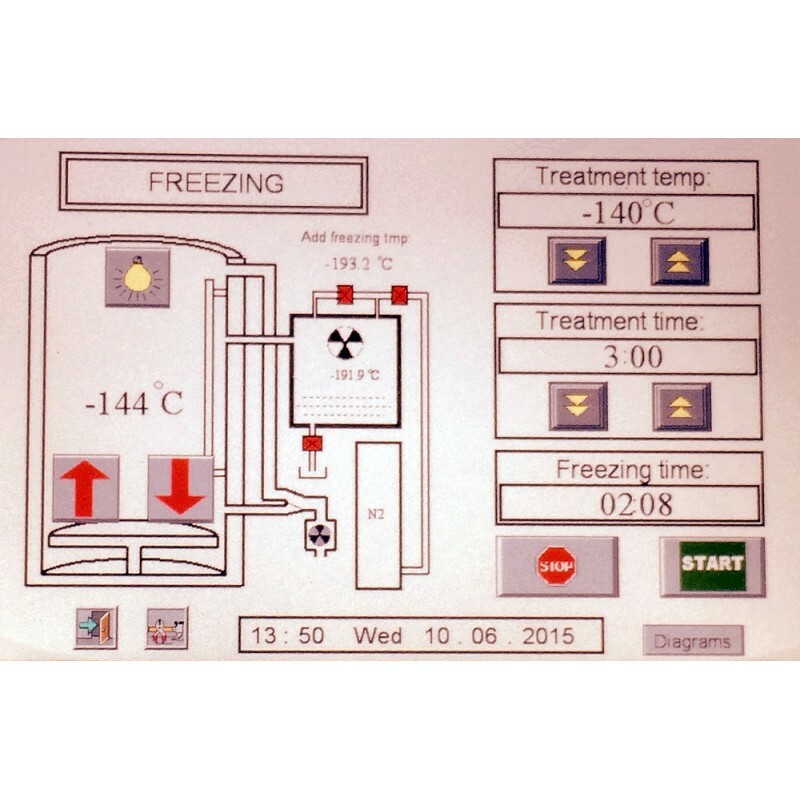 An individual cabin called "CRYOSAUNA ", running on liquid nitrogen, is now proposed by our services. Of small overall dimensions, it makes it possible nevertheless to take care of around 20 patients in one hour of time. 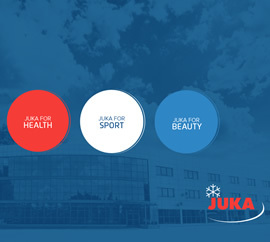 It is an ideal material to familiarize with, in general cryotherapy techniques, while proposing what is best made on the world level, in this type of material. 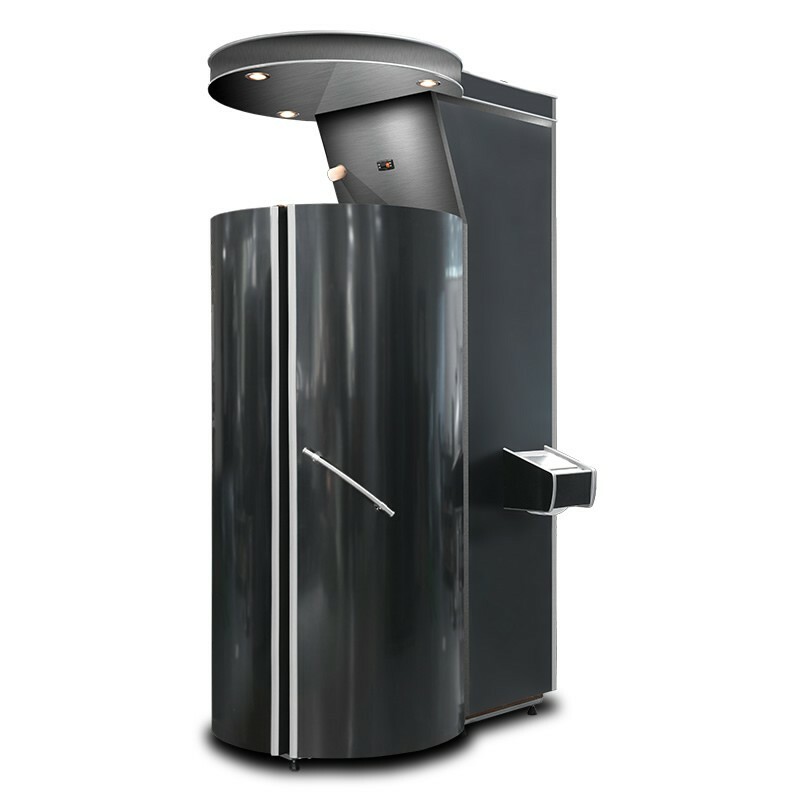 CRYOSAUNA received Europeen Medical Certification. Quick operation description of the CRYOSAUNA cabin. The cold production of a CRYOSAUNA cabin comes from the evaporation of liquid nitrogen in the low temperature generator, coming from a cryogenic tank, external to the machine. The tank is not integrated into the cabin and it can be placed apart from the room where the CRYOSAUNA is installed. Liquid gas suppliers generally propose this type of material for hire or for sale. Criotec for its part, deals with the installation of the CRYOSAUNA cabin as well as training of its users. 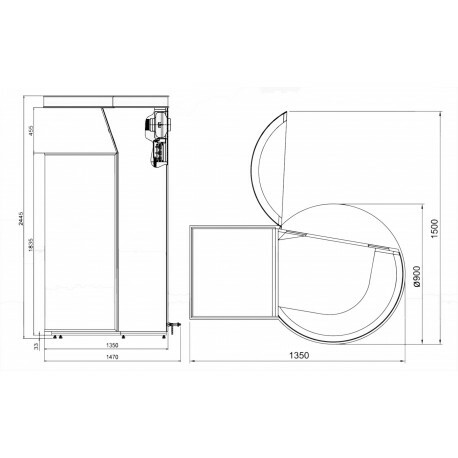 The CRYOSAUNA is equipped with a mobile floor which adapts to the height of each user. Thus, the upright user is immersed only to the shoulders with the head out of the level of cold gases, which enables him to breathe the ambient air without requiring the port of a protection on the mouth. A system of gas extraction must be installed in a wall behind the cabin to extract nitrogen emitted during the operation of the apparatus, coupled with an air analyzer to check that the oxygen content of the cabin does not recede under 19%. 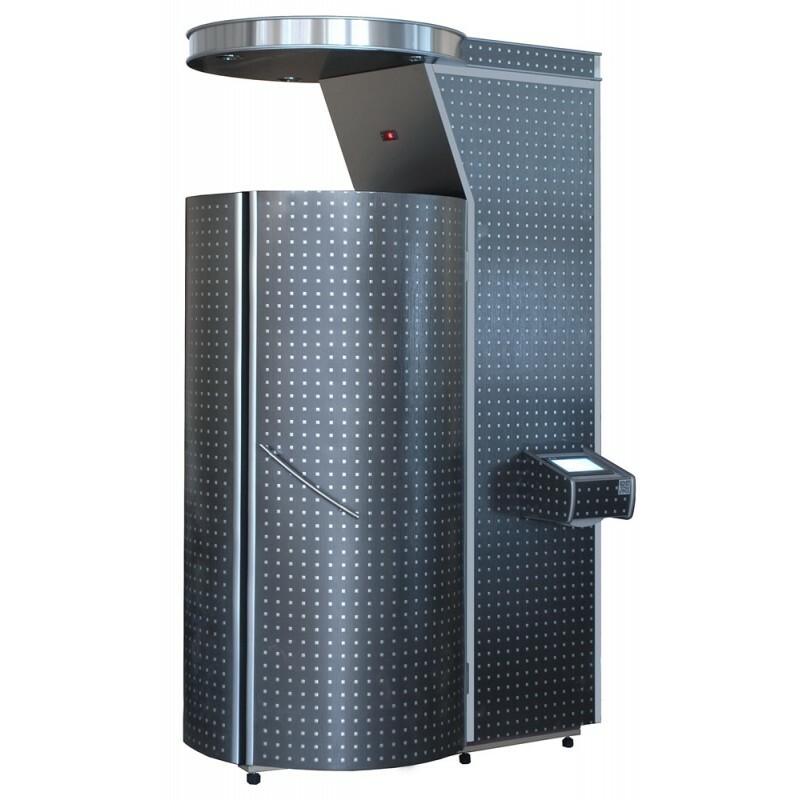 A 5 to 10 minute period of temperature lowering is necessary before starting each CRYOSAUNA cycle of use. Before entering, the user of the cabin is required to dress in protective clothing composed of thick cotton gloves and socks, as well as a bathing suit also made out of cotton. At the end of cycle, the ground goes down again automatically; the operator helps the user to leave the cabin, and assists the next user to enter. This process is repeated for each applicant. Then comes the drying of the machine phase, during which residual moisture is extracted from the cabin and the generator, automatically, during a 90- minutes cycle approximately. 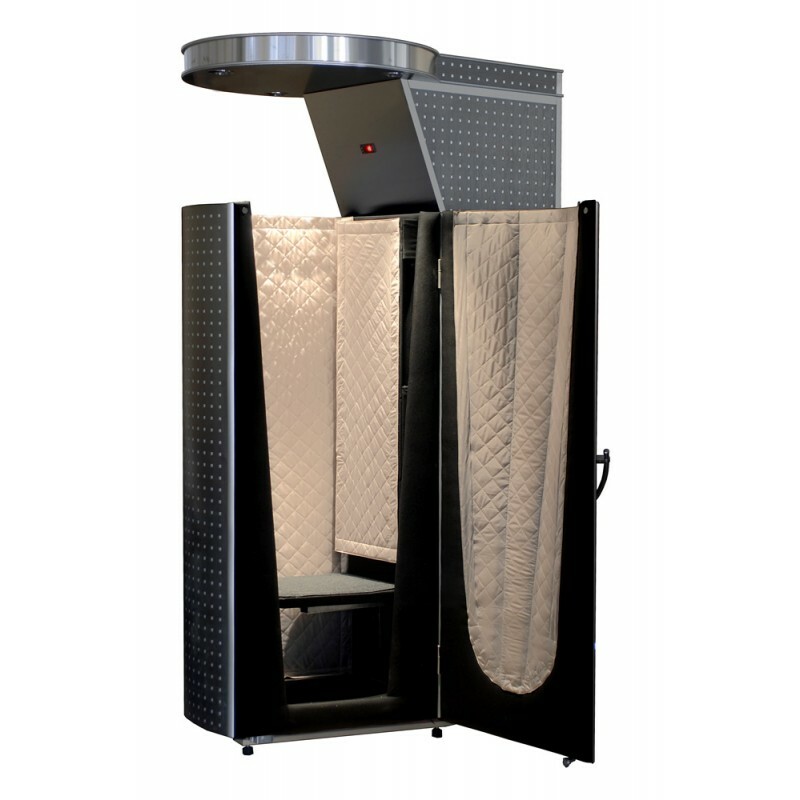 The use of a CRYOSAUNA cabin is subject to some contraindications, like heart-rate disorders, intolerance to cold; kidney or respiratory diseases among others. 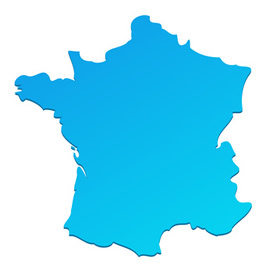 In any event, this type of session can only be done after positive medical advice, and under monitoring by a PP JUKA Company trained operator, or its official representative in France. This formation is delivered at the time of the CRYOSAUNA cabin installation.